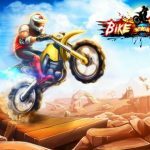 Mad Skills Motocross 2 is Turborilla’s side-scrolling motocross game for Android and iOS devices, and according to its maker, the game allows you to “discover what professional racers, motocross fans, and casual gamers across the globe already know.” It claims to be the most intense Android racing experience out there, as well as a game where the physics is second to none. The bikes (all eight of them) are amazingly responsive, and as you move up in the game, you’ll be able to ride them all. There’s also standard PvP mode, dozens of tracks to choose from, and weekly competition against players from all over the world. 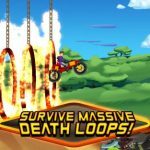 Those are the basics of the game, but if you really want to win more races, we suggest checking out our list of Mad Skills Motocross 2 tips, tricks and cheats for more information. If you know how to pull off a great wheelie, chances are you’ll be able to complete all of the races and then some. Riding on your back wheel is a very important skill to learn, as it may be the difference between a simple first-place finish and one that beats out your previous best or that of your friends. Of course, it may take you a while to perfect this trick, as it’s no joke trying to land on your back wheel or leap at just the right time. But that’s why practice makes perfect. Mastering the wheelie is just part of what you need to do to have better times. It’s more than simply landing on your back wheel. You also need to perfect your landings based on the obstacles that you’re facing in front of you. If you need to balance your bike or pick up the speed, lean forward. In short, making a good jump is half the battle; you also have to land the right way. You really shouldn’t hesitate to restart your race if you miss a jump or fail to land properly. Especially in the later goings, this game doesn’t leave you much room for error, so if you do make a mistake, it could be your last as far as hopes of finishing first go. Hit the restart button if you really need to – it won’t hurt anyone or affect your game. 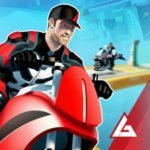 While the emphasis we placed on wheelie-ing may make this game sound like one where stunts and stunt combos are the way to go, you should remember that this is a motocross game. Motocross is an off-road bike race where the goal is to finish first, ahead of everyone else. As such, you should also work on riding as fast as possible, especially when you move on to the latter stages. At that point, you’ll probably swear that your opponents’ bikes are on steroids, due to how fast and powerful they are. But if you take every opportunity you could to go fast, you’ll have a chance to pull one past them. Unless you’re explicitly told to, take it easy on the tricks. As we said above, motocross rewards the fastest biker and the first to reach the finish line, not the flashiest. Granted, there are some races where you have to perform a certain trick to advance, but those races are few and far in-between. In relation to laying off the tricks, you also wouldn’t want to bike in a similar way to how your opponents do it. All too often they’d be trying something a bit too flashy or a bit too dangerous, and when you try to recreate what they did, you just won’t get it right, at least not as you may have imagined it. What you want to do here is be yourself when driving, and ignore your opponents’ techniques; they often end up spilling anyway. Upgrading your bike is fine, but there are those who believe buying a better bike is a nicer idea. 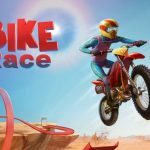 There are some stages where you really need a certain kind of bike to win it, but if you can’t get one right away, you’ll want to replay certain challenges or levels. A better, higher-rated bike will almost always give you better times and better placing when you’re racing your bike. We typically aren’t fans of asking players to spend real money on their mobile games, unless the game costs something on Google Play or the App Store. But if you really want to buy something and can afford it, you may want to spend on the rockets. They’ll be a great help in certain levels, particularly the ones you may find too hard to complete the first, second, or even fifth time around.